It offers an unbeatable ride/handling combination along with a high level of refinement, classy interiors, and some unique features. Furthermore, the V6 engine is no slouch, and has very respectable EPA fuel-economy ratings too. It doesn’t have the maximum towing or payload capacities of some rivals. 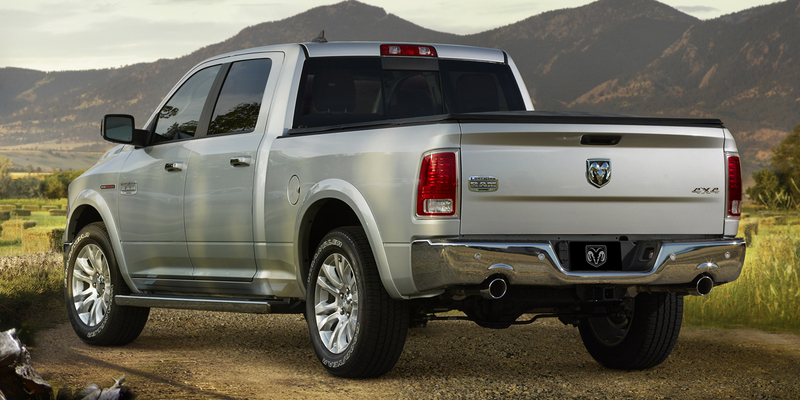 The Ram 1500 is available a class-exclusive diesel engine. Also exclusive is the RamBox system: large, handy, lockable cargo bins built into the top edges of the cargo-bed walls. Full-time 4WD is offered (in place of part-time 4WD) starting in mid-level models. The Ram 1500 was called the Dodge Ram 1500 until a few years ago, when then-parent-company Chrysler Group broke off “Ram” as its truck brand. This half-ton pickup is available in regular cab, extended cab (called Quad Cab), and crew cab body styles; both the extended cab and crew cab have conventional front-hinged rear doors. It comes standard with a 3.6-liter V6 that’s offered in a wide range of models, while a 5.7-liter V8 is also available. 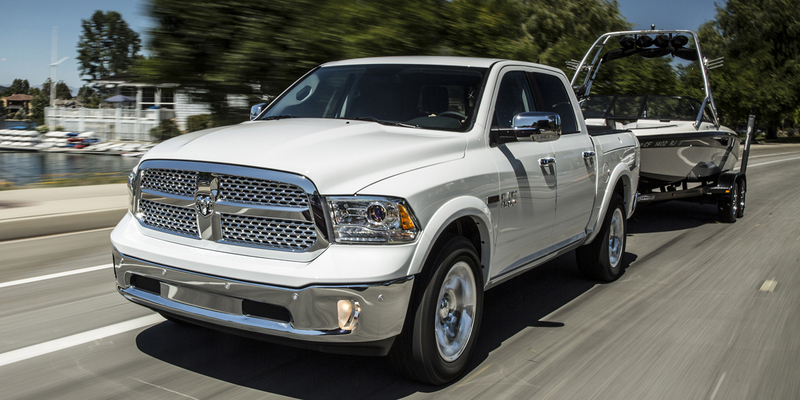 The Ram 1500 sees no significant changes for 2015. In Consumer Guide® testing, a V6-powered Quad Cab averaged 19.3 mpg in a mix of city/highway driving; that compares to the EPA rating of 17 city/25 highway. The 5.7-liter Hemi V8 is rated at 14/20 with a 6-speed automatic, 15/22 with the available 8-speed. Ram recommends mid-grade 89-octane gas for the 5.7 V8, but it can run on regular as well, which is what’s recommended for the 3.6 V6. The diesel V6 is rated at 20/28 with rear-wheel drive and 19/27 with 4-wheel drive. 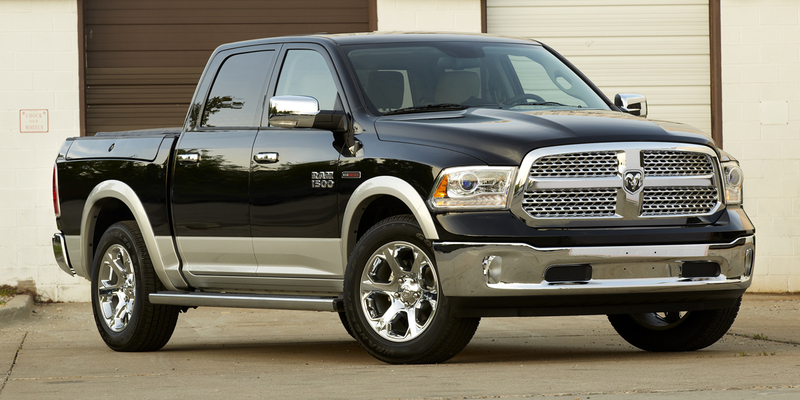 The Ram 1500 is really tough to beat for regular street driving. It rides better than most any other pickup, has a high level of refinement and features, and the base V6—which is plenty of engine for most uses—offers laudable fuel economy. And, the available diesel engine offers the best fuel economy in the class. 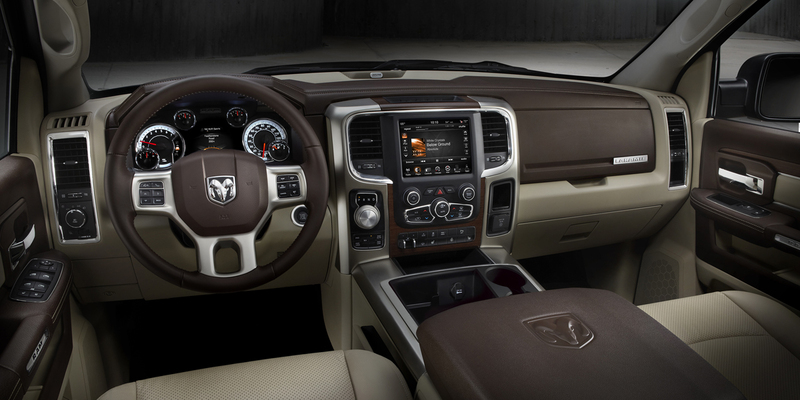 The Ram 1500 also offers a wide choice of trim levels, from workhorse, to street cruiser, to luxury liner. Even if you’re a die-hard loyalist to another brand, you still owe it to yourself to check out these outstanding trucks.